Mark A. Cornelius’ New Offering – The Book of Seconds, hits the cyber shelves. Spread the word! The long awaited sequel to The Singularity is now available! Volume Two of the Ruach Saga, titled The Book of Seconds can now be purchased at www.RUTmanagement.com. I appreciate everyone’s support during my transition from traditional publishing. The more I’ve researched, the more it appears beneficial to jump off the cyber-cliff and fly the adventuresome skies of e-book and on-demand paperback publishing. To prove this out, I’m offering a limited-time special, that I know will excite you. Anyone who orders one of my e-books through www.RUTmanagement.com; and writes a review (good, bad or indifferent) at the RUT Management site, will receive, from me, an e-book copy of The Book of Seconds. Or, if you have already read my other books and want to simply purchase The Book of Seconds to review at www.RUTmanagement.com, I will advance copy you Volume Three of the Ruach Saga, titled Bronzeman (not yet available to the general public). To add additional incentive, all my e-books are priced at $0.99. The cost of paperback versions has also been reduced, but only for a limited time. I hope this will encourage all of you to visit me at Amazon. Let’s keep the conversation moving forward and let me know what you think of my newest releases. Not one, but two book releases! Go online (or email me) to find out about my two newest works: Welfare Christianity and The 2nd Edition of RUT Management - Rutier than ever! Coming in the fall...the highly anticipated follow up to The Singularity. It's called Seconds and I'll be sending out information soon on the release. Now associated with Author Marketing Club. Please be patient, I'm working on the links to help you access my books more effectively. August 9-2014 The secret is out! I've made an arrangement with Tate Publishing to re-release the second edition of Believement complete with an in-depth Companion Study included! please visit the Believement page for more details or go to https://www.tatepublishing.com/bookstore/book.php?w=9781632687579 for pre-release orders! November 6-2013 Just released! Watch the newest trailer for The Singularity. /uploads/2/0/7/1/20715426/m.cornelius_low_tr.mp4. Go to my contact page and let me know what you think. 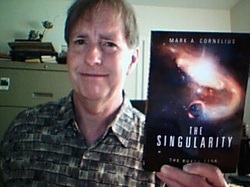 October 21-2013 The Singularity is officially available to Kindle and other e-book aficionados! October 1-2013 This is "Official Release Day" for The Singularity. This compelling end-times fiction piece is releasing this week and will be available to order in bookstores or from internet sites that our distributor supplies (barnesandnoble.com, amazon.com, and others). PS have you begun your Christmas shopping yet? September 12-2013 Pre-sales are going gang busters and the full release of The Singularity is right around the corner. Go to the Published Works tab to see what people are saying about this great End Times novel and ask about it at your nearest book seller. July 24-2013 Yes, there really is a V4641 Singularity! Go to http://blackholes.stardate.org/directory/factsheet.php?p=V4641-Sagittarii to read about the “star” player in the book. July 9-2013 Pre-Release Opportunity! Amazon doesn't have it. Barnes & Noble can't get it. Even Books A Million has to wait. But for you there is no waiting! 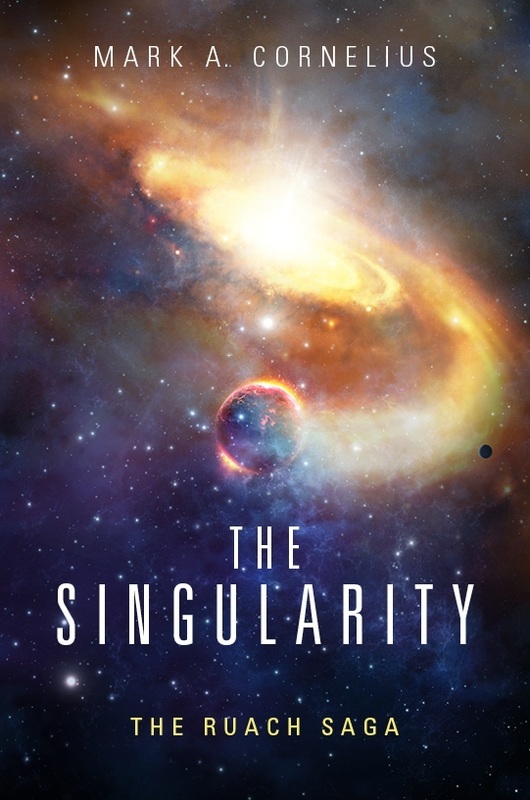 Click on the Tate Publishing Bookstore button below to immediately order your special Pre-Release copy of The Singularity. June 6-2013: The Singularity is in final production status! The edits have been made, the illustrations and cover are prepared. Soon (very soon I pray!) you'll be able to advance order your own copy of this incredible End Times thriller. Book Signings galore! 2016 has included signings in Nashville at Logos, Barnes & Noble, The Good Cup, Einstein Brothers and Music City Tea. I've also met new friends at the Hastings Entertainment Center in Clarksville, TN and have a scheduled signing at the Hastings in Murfreesboro. Let me know if there are other places you'd like to hang out with me and talk "What If?". December 21, 2013: For any of y'all in or around Nashville who hadn't gotten "the word" yet, I’d like to personally invite you to a very special event happening at the Logos Bookstore of Nashville on Tuesday night, December 21st starting from 1-2pm. I’ll be doing a book signing for my new action thriller, The Singularity. Logos has arranged with Tate Publishing to give a significantly discounted price on the book and we’ll also set aside some time for questions, answers and lively discussion about the book’s main theme of End Times. If you’ve never been to the Logos Bookstore, I highly encourage you to come by. This is a wonderful setting. We’d like to encourage a large crowd for the launching of the book, a perfect Christmas present for anyone interested in the next Advent of our times. So even if you can’t make it, please help us spread the word and pray that we reach the right people. The Logos Bookstore is centrally located at 4021 Hillsboro Pike in Greenhills (https://www.facebook.com/pages/Logos-Bookstore-of-Nashville/334150923624 ). I’d also like to encourage you to visit www.Facebook.com/V4641Singularity to learn more about the realities in our universe which may be clues to the Second Coming. PS If you haven’t watched the trailer for The Singularity, take a peek at the attached file. Shalom and see you at Logos! June 6: Be one of the first to preview my new book, The Singularity!